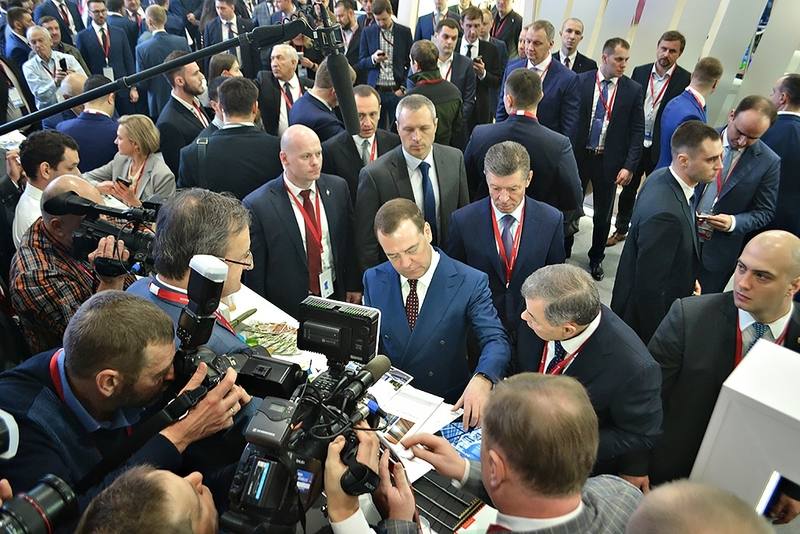 Kaluga Region delegation headed by Anatoly Artamonov, Governor, attended a plenary session in which Dmitry Medvedev, Chairman of the Russian Federation Government, took part. It also attended the following panel sessions: Power Sector Digital Transformation – New Opportunities for Business Community and Regions, Agro-Industrial Products’ Export. Regional Agenda, and Industrial Clusters: Ways to Increase Investment Attractiveness of Regions. 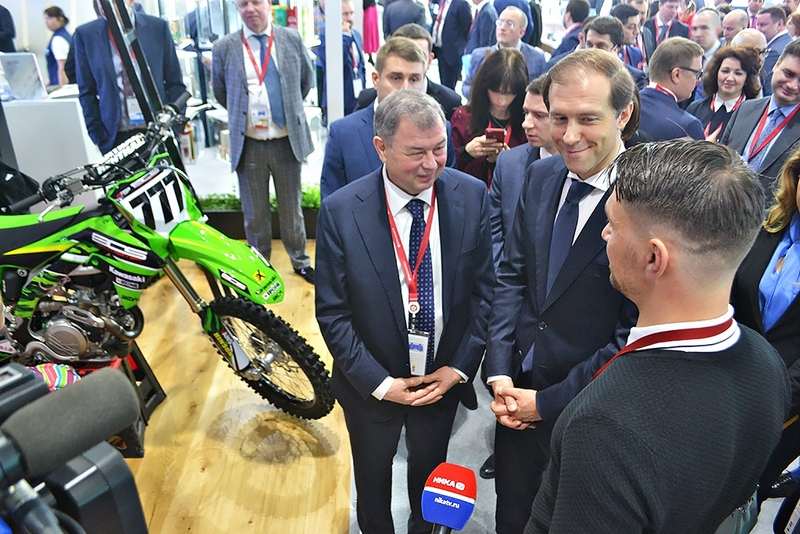 Dmitry Medvedev, Chairman of the Russian Federation Government and Denis Manturov, Minister of Industry and Trade of the Russian Federation visited Kaluga Region exhibition stand. A concession agreement on design, construction and operation of railway infrastructure for Kaluga industrial special economic zone was concluded between the Ministry for Economic Development of Kaluga Region and Russian Railways ОАО. 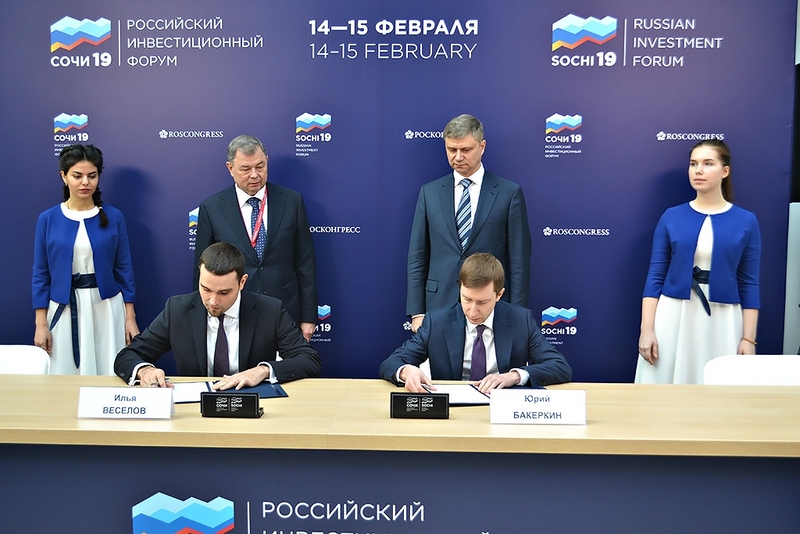 The document was signed by Ilya Veselov, Minister for Economic Development of Kaluga Region, and Yuri Bakerkin, Head of Investment Department, Russian Railways ОАО. The agreement provides for cooperation between the parties to connect Lyudinovo-1 railway station, Moscow Railways, to the territory of Kaluga SEZ under private-public partnership scheme. The scope of investment is to reach RUR 655 million. 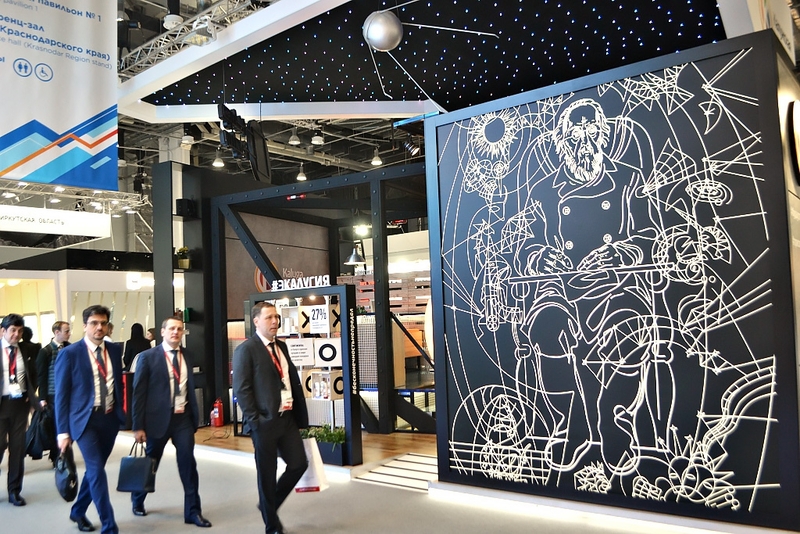 “Join the Space!” is a slogan describing the ideology of Kaluga Region exhibition stand. The core of the exhibition is shaped by technology solutions, promising industry projects and products manufactured by companies having their production facilities in Kaluga Region, namely Niarmedik Pharma, AstraZeneca Industries, Laminam Rus, Tsentr-Trade, L’Oreal, VMK Invest, Merkator Kaluga, Pilot Instrument Engineering Plant, Karelia Upofloor CIS, etc. The stand features interactive exhibits and convenient meeting rooms. The stand also presents tourism, recreation and sports facilities of the region, including Kondrovo motorcycle race track, which is the second largest track of its kind in Europe. The track hosted the Championship of Russia till 2012 and its was also a home track for Evgeny Bobryshev, who won the Russian Championship many times, was the bronze medalist of Motorcycle Race World Championship (MXGP), and the winner of the 2018 MX1 UK Motorcycle Race Track Championship (Lombard Suzuki/ BOS GP).